Three years ago, I became the proud owner of a 2,000-square-foot single-family home in southwest Atlanta. It was my biggest purchase to date and has been the source of endless content for my own personal-finance blog. And I bought the house as a single, 26-year-old woman making less than $40,000 a year. If I’m being honest, since I bought my house three years ago, I probably haven’t saved as consistently as I did before the purchase. Perhaps it’s because I haven’t had any super personal goals to achieve. Looking back on it, I followed two big “rules” to make sure I hit my savings targets each month. First, I automated savings from my paycheck (around $400 per month) into a separate account. This was the only way I could make sure the money made it into my savings, rather than going toward other expenses. Second, because the goal was something I really wanted (my first home), I was able to stay incredibly focused and motivated, even when temptation called. It’s also important to save for a certain amount of time (e.g. six months or a year), so your brain can conceptualize the realization of the goal. There’s science behind this. In the end, I saved around $8,000 for the down payment on my first home. I didn’t have a lot of student loans when I graduated school, but I did have mountains and mountains of high-interest credit card debt. I knew the debt was always going to be the “monkey on my back” if I didn’t get rid of it. Right out of school, my primary focus was paying off my debt once and for all. To make this happen, I had to put my dreams of being an actor on hold, take a desk job I hated (but that paid well) and stick to my budget like a maniac. Sometimes, to get to where we want to go, we have to do things we don’t want to do. Homeownership is absolutely achievable if you have debt, but a healthy debt-to-income ratio helps you qualify for a mortgage and get a lower interest rate. Paying off debt before buying your first home is particularly crucial if you make a lower salary. I qualified for up to a $140,000 home, but I didn’t even get close to that price point. Instead, I bought a fixer-upper for $65,000. After investing another $58,000 from a 203k renovation loan into fixing it up, I owed $123,000 total on the home. This put my mortgage around $850 per month, which was only $50 more than I was paying to rent my apartment at the time. While Atlanta is absolutely an affordable place to live, it was important to me to get into a home that didn’t inflate my bills each month. After all, I still only had $40,000 in income each year, so I couldn’t upgrade my lifestyle too much. To do this, I had to play around with a lot of numbers, but all the extra math worked to my advantage as I didn’t have to sweat my mortgage payment and increased utilities each month. At the time, a non-profit in Atlanta was giving qualified buyers a $15,000 down payment assistance credit. Because my income was so low, I qualified and gladly took the $15,000 to help with my closing costs. Although down payment assistance programs can vary widely depending on your city and state, you never know what you might qualify for unless you ask. Talk to your mortgage broker about your eligibility based on your income and location. My biggest advice to potential low-income homeowners is to start preparing your finances six to 12 months before you even begin looking for a home. The financial component is crucial, but many overlook it in their haste to find their dream home. Homeownership is possible for anyone; it’s just important to look at what you can afford versus what you feel your homeownership journey should look like. Your Turn: Did you manage to buy a house while earning a lower-than-average salary? We’d love to hear your tips! 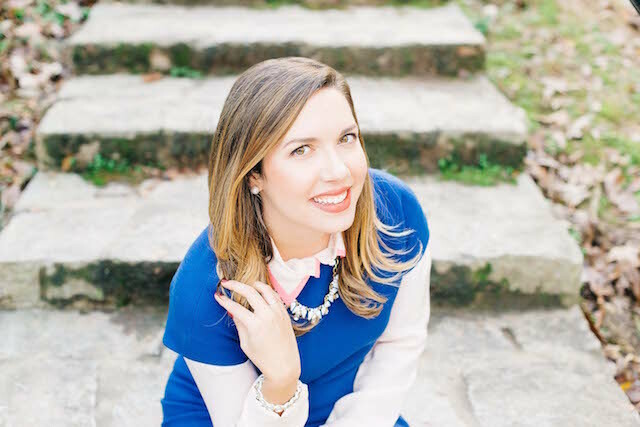 Lauren Bowling is the blogger behind the award-winning personal finance site L Bee and the Money Tree and author of The Millennial Homeowner: A Guide to Successfully Navigating Your First Home Purchase. Blogging since 2012, Bowling is now a recognized thought leader in the millennial finance space with her expertise featured in the pages of Redbook and Woman’s Day magazines and on leading online financial news sites including Forbes, The Huffington Post, CNNMoney and U.S. News and World Report.